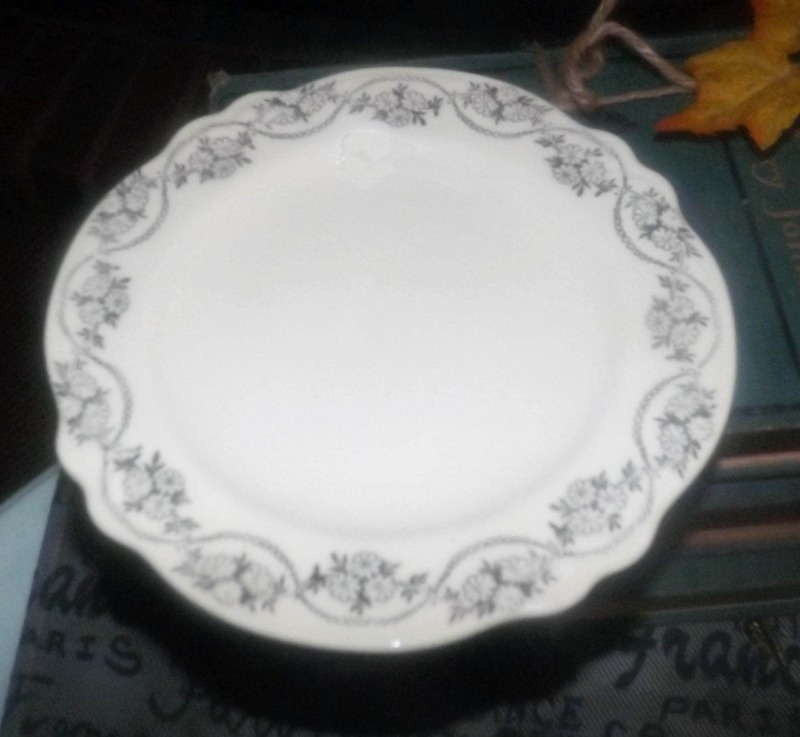 Early mid-century (1940s) Homer Laughlin VR421 Century's Three Daisies bread-and-butter | side plate. Platinum florals. 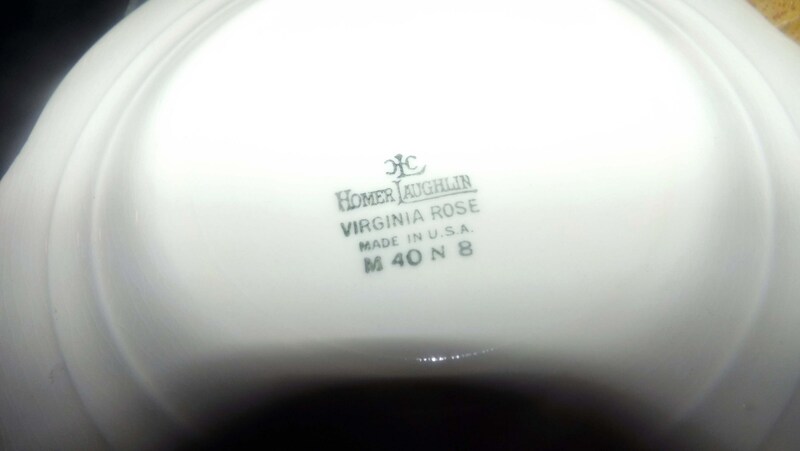 Virginia Rose. Early mid-century (1940s) and VERY RARE! 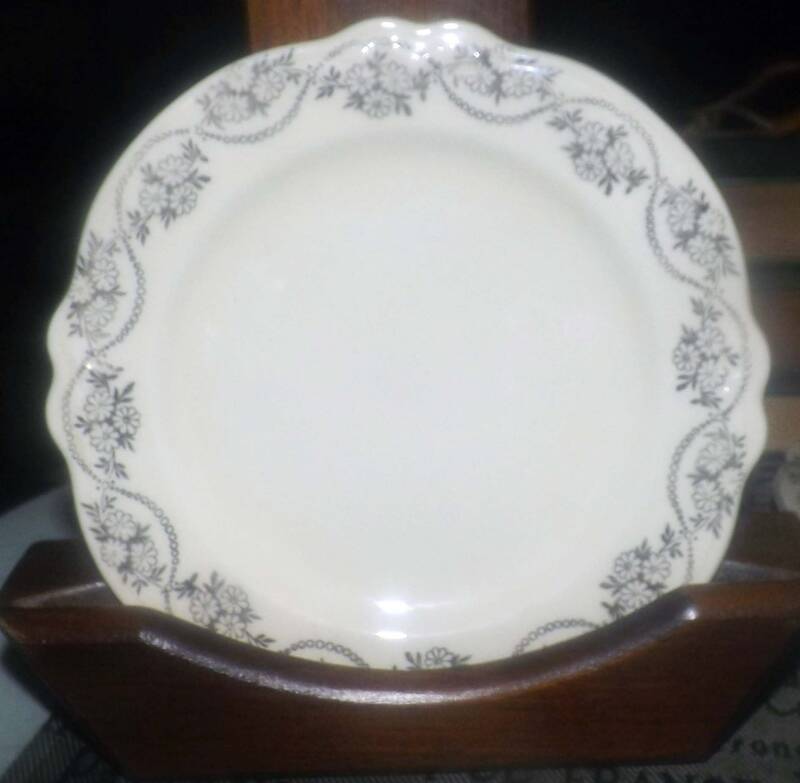 Homer Laughlin VR421 Century's Three Daisies pattern bread-and-butter, dessert, or side plate. 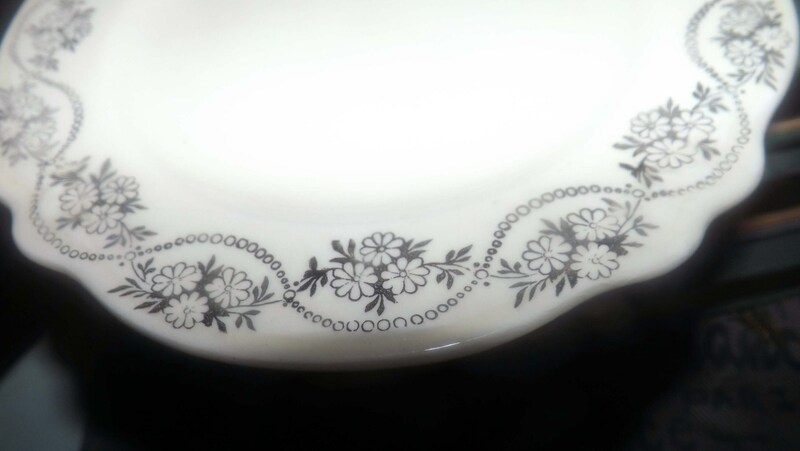 Part of Laughlin's Virginia Rose ironstone line, Century's Three Daisies features, as the name suggests, a garland of platinum daisies, in groups of three, with a platinum chain intersecting and set on a ground of antique white with embossed floral accents and a ruffled | scalloped edge. In EXCELLENT! vintage condition with NO! chips, nicks, cracks or fleabites. 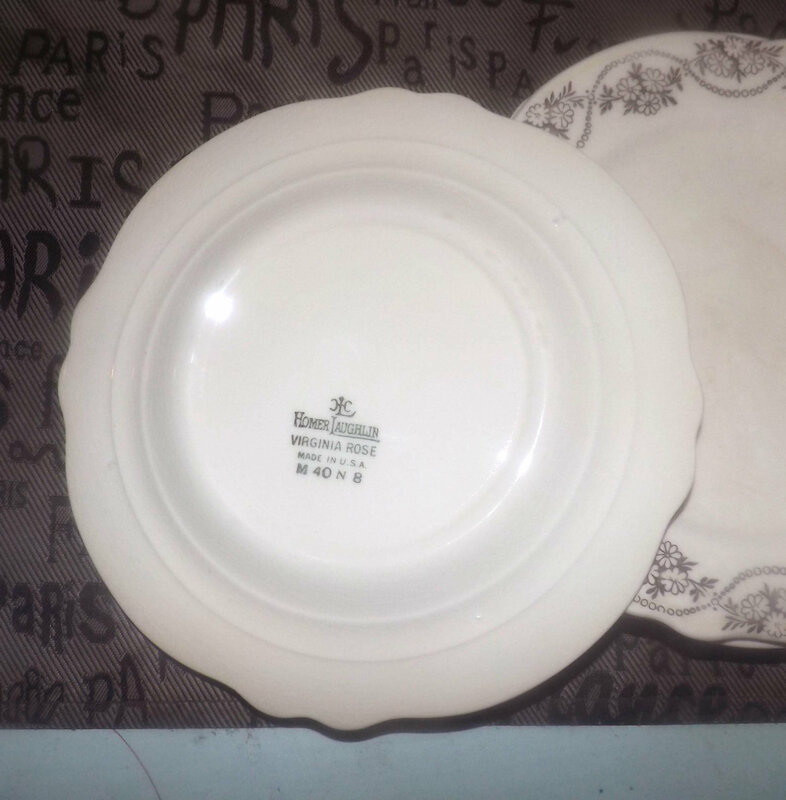 The plate does show age-appropriate crazing (please review each of the posted photos for a complete visual of the items). The platinum florals and chain are bright and vivid with NO! fading apparent. 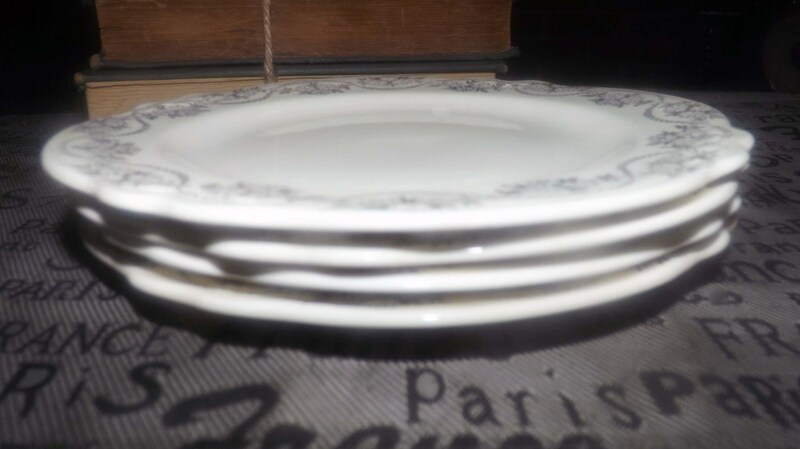 Approximate measurements: 6-3/8" in diameter with a scalloped edge and embossed details.